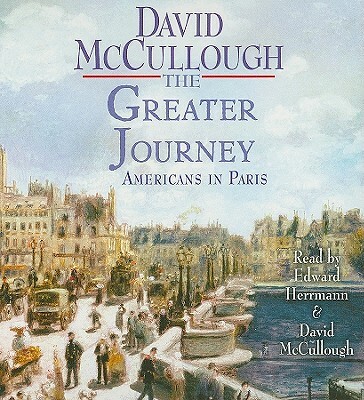 Now in paperback, the New York Times bestseller from two-time Pulitzer Prize-winning author David McCullough—the inspiring, enthralling story of the American painters, writers, sculptors, and doctors who journeyed to Paris between 1830 and 1900. Writer Emma Willard, who founded the first women’s college in America, was one of the intrepid bunch. Another was Charles Sumner, who enrolled at the Sorbonne where he saw black students with the same ambition he had, and when he returned home, he would become the most powerful, unyielding voice for abolition in the U.S. Senate. James Fenimore Cooper and Samuel F. B. Morse worked unrelentingly every day in Paris, Cooper writing and Morse painting what would be his masterpiece. From something he saw in France, Morse would also bring home his momentous idea for the telegraph. Writers Ralph Waldo Emerson, Nathaniel Hawthorne, Mark Twain, and Henry James were all “discovering” Paris, marveling at the treasures in the Louvre, or out with the Sunday throngs strolling the city’s boulevards and gardens. “At last I have come into a dreamland,” wrote Harriet Beecher Stowe, seeking escape from the notoriety Uncle Tom’s Cabin had brought her. The genius of sculptor Augustus Saint-Gaudens and painter George Healy would flourish in Paris, inspired by the examples of brillant French masters, and by Paris itself. told with power and intimacy, The Greater Journey is itself a masterpiece. Edward Herrmann's films include Nixon, The Purple Rose of Cairo, Annie, and The Aviator. On television's Gilmore Girls he starred as the patriarch, Richard Gilmore. He has also appeared on The Good Wife, Law & Order, 30 Rock, Grey's Anatomy, and Oz. He earned an Emmy Award for The Practice, and remains well-known for his Emmy-nominated portrayals of FDR in Eleanor and Franklin and Eleanor and Franklin: The White House Years. On Broadway, he won a Tony Award for his performance in Mrs. Warren's Profession.